Zack’s Hamburgers | America loves Sporks! ← Does anyone care about the O thing? It’s 1975 all over again. I made it there today just at high noon. The building looks like it had been a Burger Chef (remember those?) or maybe a very old McDonald’s or Hardees – a building within a building, with the seating area added on later. This entry was posted in North Carolina, Pokéfun. Bookmark the permalink. 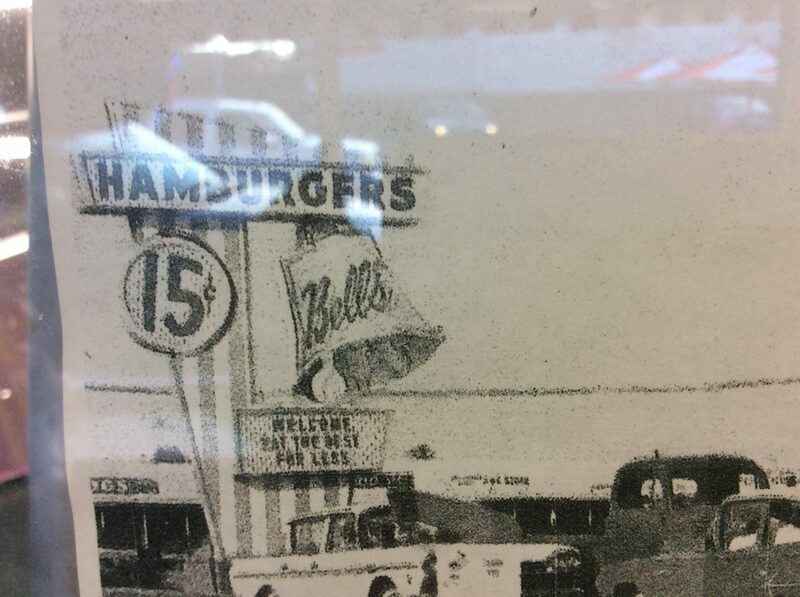 It was built in 1961 as Bell’s Hamburgers. This was a franchise by Glen Bell, who in 1962 started Taco Bell. His story is interesting as he spent almost 15 years starting various taco and other fast food chains while Bell’s Hamburgers was his main job. This book is by the guy who does Ask a Mexican in many free papers and is often on Tom Leykis. Thank you for the research. That lines up – there were some Greek related signs suggesting the owners were Greek (very common here). The menu alludes to the parents handing it over to the son. 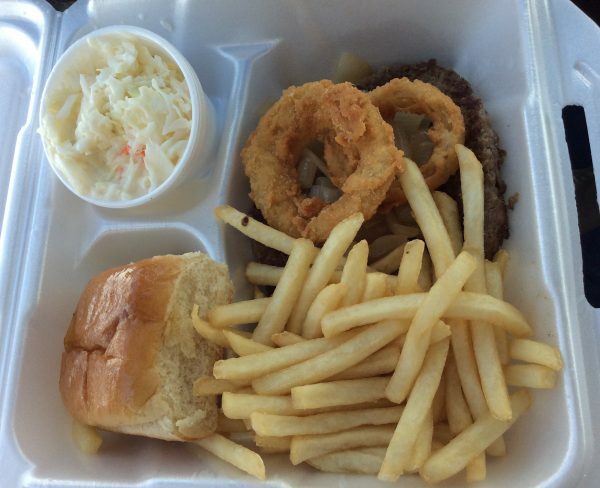 The onion rings were the real thing – no onion flavored corn meal or rings stamped out of simulated onions. My only real complaint, made worse by when I was there – is they poured the shake as soon as I ordered, but the hamburger steak took a long time to cook, so the shake was starting to warm up. A little related, Burger King started offering a thing called Mac & Cheetos. It’s essentially macaroni covered with an Orange colored batter, then deep fried. Really bad concept. Good freshly made onion rings are increasingly hard to come by. Although I hadn’t had them in a while, Popeyes stopped hand making their Onion Rings in the stores recently…….In his various enterprises, Glen Bell worked with men who went on to start both Del Taco and Der Wienerschnitzel- that’s a couple thousand locations. He seemed to keep good relations with all of them as well. Al Copeland is the guy that started Popeyes, owned Church’s as well before a giant bankruptcy, and copied the Cheesecake Factory so well they are not in a few southern cities where his imitations rule. Everyone is in a rush to reduce their headcount with Obama, particularly in states with high minimum wages. The obvious solution is to shift work to employer-hostile states to employer-friendly states. That could include people doing this by hand, but once you centralize the process, it is often cheaper to invest in capital equipment to eliminate unnecessary labor. Well, shiver me timbers. Could you spare me a hamburger until next Tuesday? McDonald’s should consider selling spinach. I hear it is healthy. Thats makes me hungry ! Looks good. It’s 1:37 and the stream of customers hasn’t stopped. Eating inside today was hard on my ears. One of the peculiarities of losing your hearing is that soft sounds start to sound loud. I believe the process is the brain “turns up the volume” to try to compensate for the weaker signal, but that doesn’t work in the long run. It is roughly like an AM radio station overmodulating. All it does is makes the sound garbled. Franchise, seems to like the concept of gluten free pizza. Probably not my kind of place. -update – definitely not my kind of place. The chicken fingers come with carrots and celery. Artichokes, chicken sausage…multigrain crust, lots of veggie pizzas. 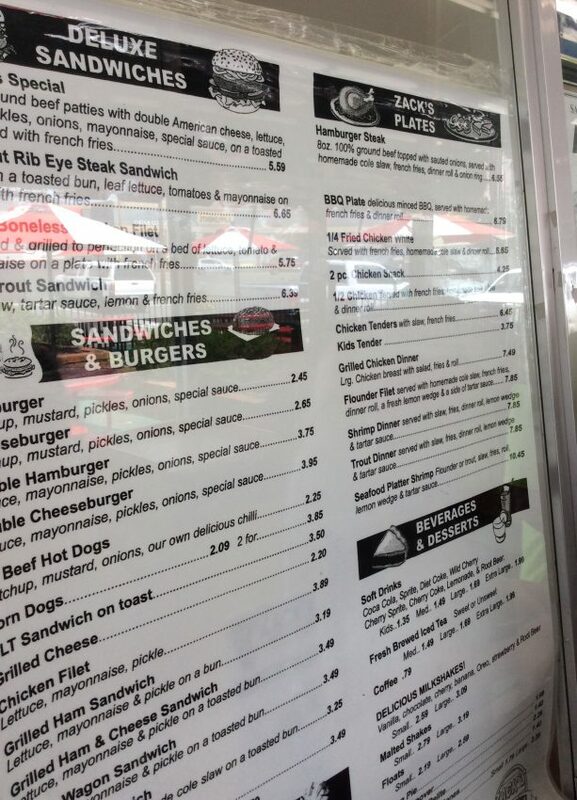 Menu seems targeted at people from New York. Lots of salads. And beer and wine. Not going there. It’s a few blocks from where my niece and nephew thought was a great place to take their dad for his birthday (my ex-brother in law). It was an upscale Indian restaurant. Dad seemed a bit puzzled why he was there, too.